Christopher Saski, PhD, associate professor in the Department of Plant and Environmental Sciences; and Jeremy Schmutz, co-director of the HudsonAlpha Genome Sequencing Center; will lead the project. “We will apply our experience to produce a novel reference genome of cotton and apply genomic tools to compare gene expression changes between space and earth plants, along with epigenetics, which are subtle accumulated changes to the functioning of DNA,” said Schmutz. The challenge provided researchers a novel way to leverage microgravity to evaluate avenues for more sustainable cotton production. Cotton is a natural plant fiber produced in many countries and one of the most important raw materials required for the production of textiles and clothing. Cotton cultivation requires sustainable access to natural resources like water that are increasingly threatened. 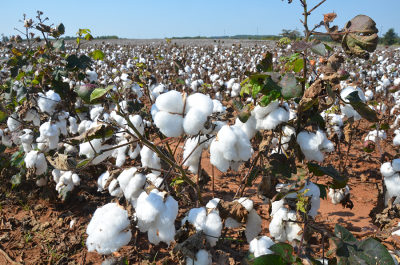 This challenge sought to engage the creative power of the research community to leverage the ISS National Lab to innovate and generate ideas that will improve the utilization of natural resources for sustainable cotton production. About Clemson University: About Clemson University: One of the country’s most selective public research universities, Clemson University serves a uniquely driven and highly accomplished student body. Ranked as the 23rd best national public university by U.S. News & World Report, Clemson is a science- and engineering-oriented college dedicated to teaching, research and service. Clemson’s retention and graduation rates rank among the highest in the country for public universities. We’ve been named among the best public college values by Kiplinger magazine in 2017, and Princeton Review named us among the “Colleges that pay you back” in 2017. The research, outreach and entrepreneurial projects led by our faculty and students are driving economic development and improving quality of life in South Carolina and beyond. In fact, a recent study determined that Clemson has an annual $1.9 billion economic impact on the state. To learn more about Clemson University, visit clemson.edu.